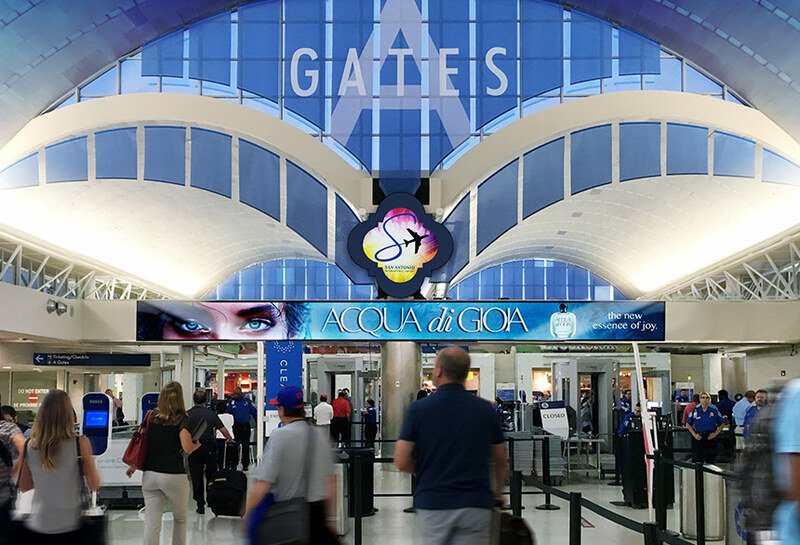 San Antonio International Airport (SAT) provides commercial airline service to the South Texas region. 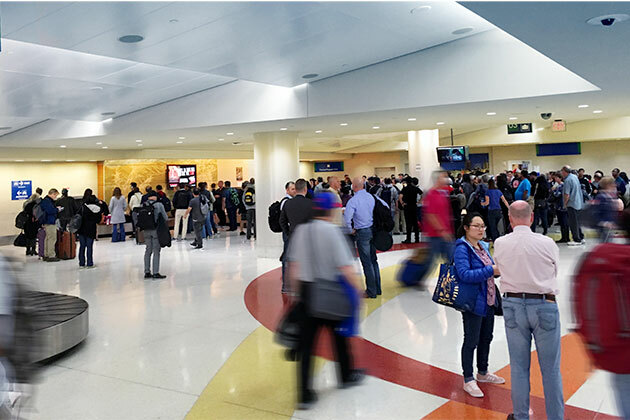 More than 9 million passengers fly into and out of historic San Antonio each year, visiting more than 54 non-stop domestic and international destinations like Mexico and Canada on 11 airlines. 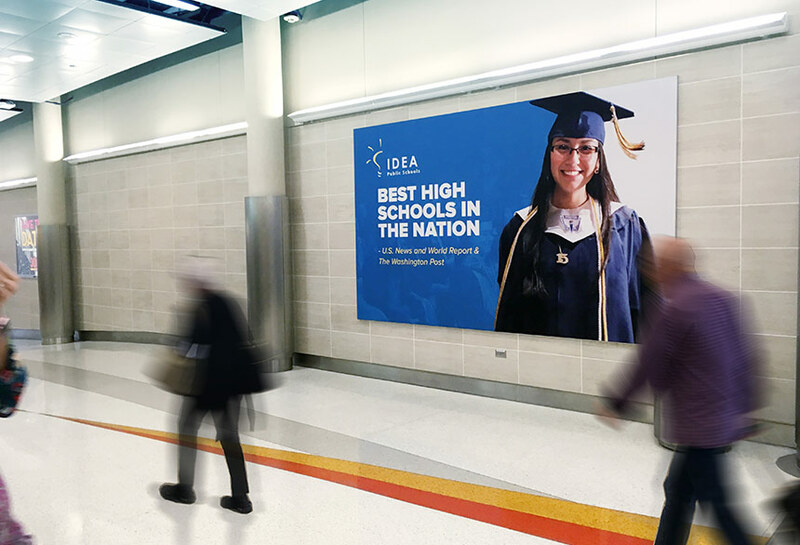 As the seventh-largest city in the United States, San Antonio is a diverse, progressive and globally competitive city, that has seen growth in industries such as bioscience and healthcare. Known as Military City, USA, San Antonio is home to the largest concentration of military bases including Joint Base San Antonio, comprised of Fort Sam Houston Army Base, Lackland Air Force Base, and Randolph Air Force Base. 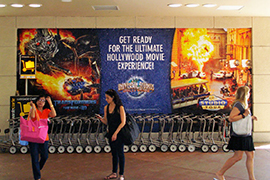 Wraps and clings deliver big impact to travelers and are strategically located in high traffic locations. They provide a “can’t miss” message for our advertisers. 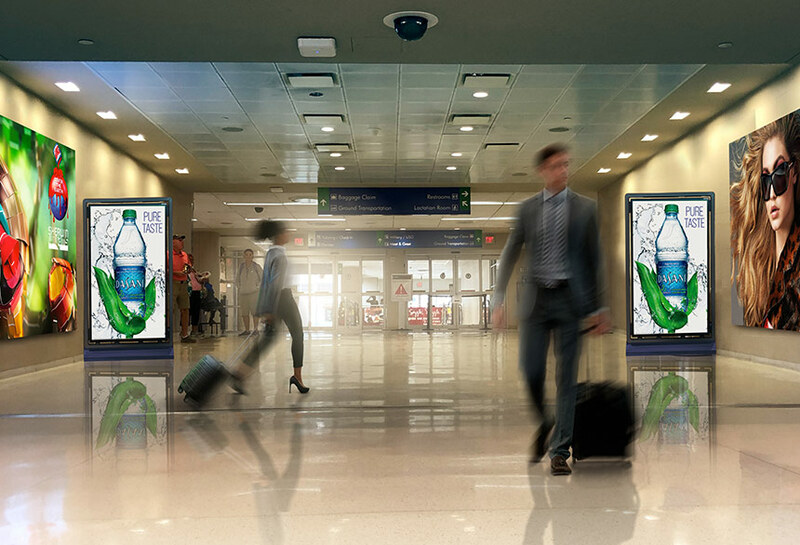 Both large and small, wraps are a great option to show-off your brand or offer. 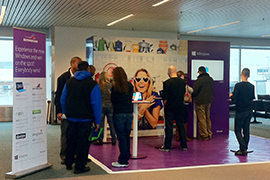 Market your brand, product or service directly to customers at the touch of a screen or in person. 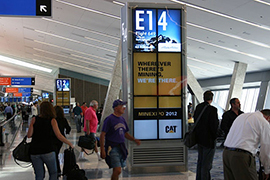 Dynamic touchscreen directories and kiosks enable advertisers to connect with travelers as they navigate their way through the airport. 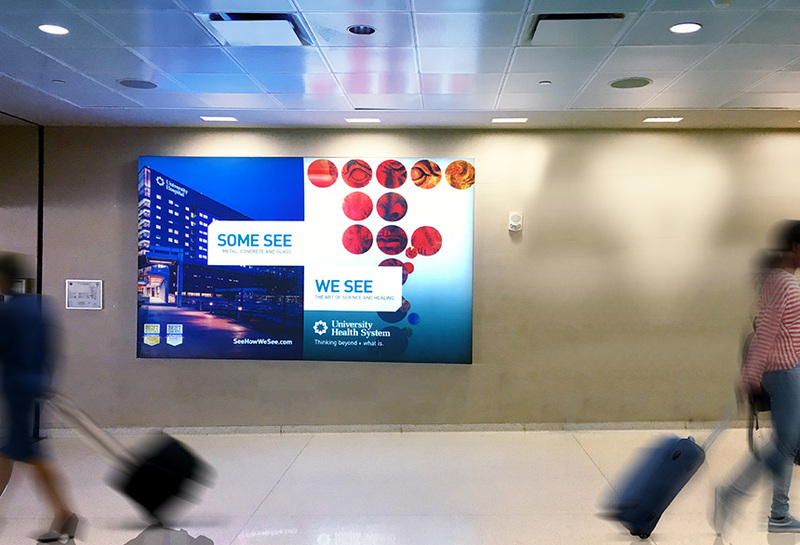 Display your ad on of our existing interactive digital kiosks or set up one of your own. 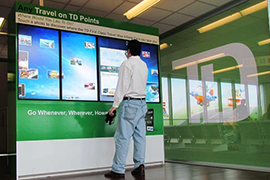 Kiosks are a proven marketing medium that engages customers in a tangible way. 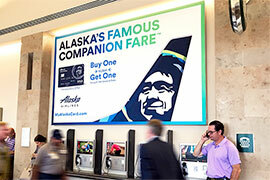 Sleek, bright and sized right, these beautiful signs showcase your brand to millions every month. 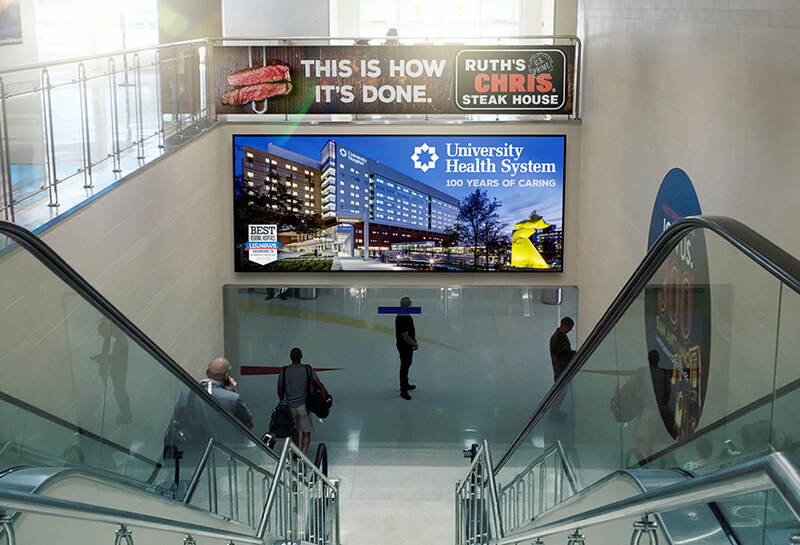 Located on escalators, in concourses, arrival and public areas, and at key intersections of the airport, these large format signs bring your message to life. 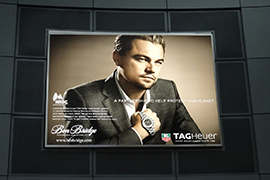 Tension Fabric Displays are static wall displays that can be non-illuminated or backlit, utilizing the latest energy-efficient LED lighting technology. Because of their design, the displays are flexible and are: double- or single-sided; wall mounted; ceiling mounted; or in freestanding framed floor units.